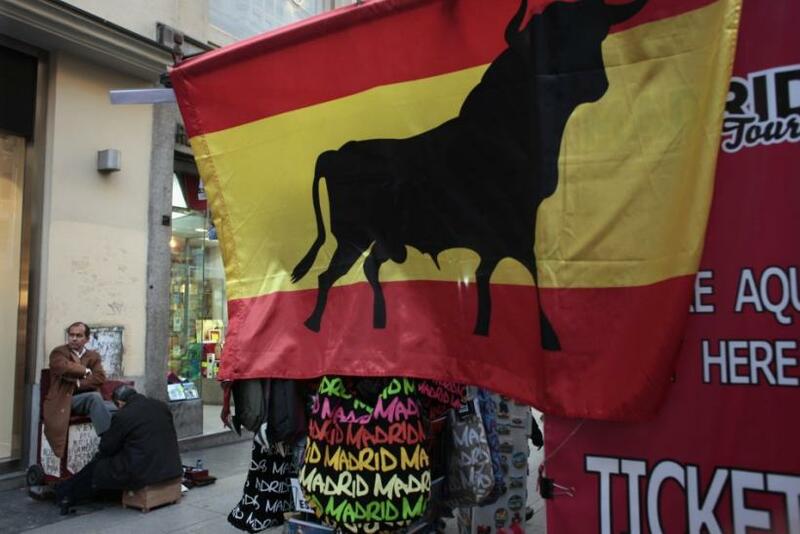 Spanish consumers are pulling cash out of banks at record levels, it was revealed on Tuesday. Private sector deposits fell by nearly 5 percent in July to €1.509, European Central Bank data showed, as public confidence in the banking system continued to plummet amid a worsening economic situation. The news comes after bond markets continued to hammer debt ridden euro zone nations Spain and Italy last week. On Friday the interest rate on a 10-year loan to the Spanish government briefly topped 6 percent -- a level that forced Greece into a default earlier this year, despite a massive financial support from international sources -- before settling back to 5.96 percent. "The pick-up in yields is a clear negative headline for Spain," Jo Tomkins, an analyst at 4Cast,a consulting firm, told the New York Times. "The country is facing a double-whammy of low growth and tough austerity, and doubts that it will be able to hit already optimistic deficit targets." The surge in bond yields was followed by a two-notch credit downgrade by Standard & Poor's, which slashed the country's rating to BBB + on worries about the government's exposure to the nation's ailing banks. The current reduced rating is still considered investment grade.